The spotlight is on retail trends, new ‘Afripolitan’ consumers and technology at the 9th Annual South African Council of Shopping Centres (SACSC) Research Conference, set to take place at the Maslow Hotel in Sandton Central, Johannesburg, on 03 April 2019. 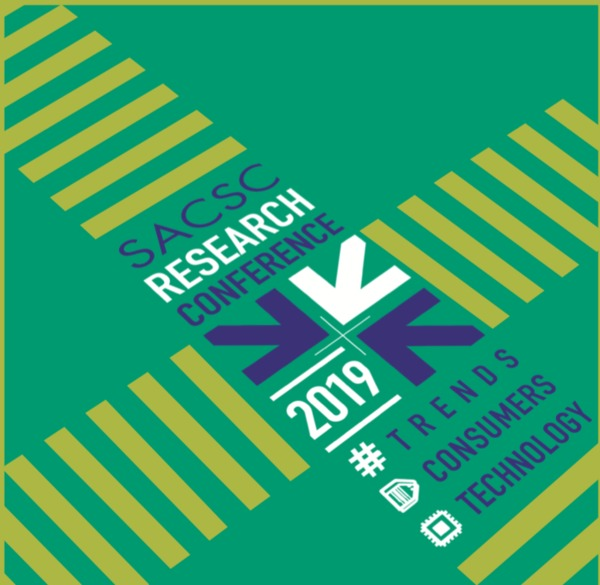 A mainstay event on SA’s shopping centre and retail industry calendar, this year’s SACSC Research Conference will have more than ten keynote speakers. The conference is sponsored by Excellerate JHI and brings together around 300 industry executives, professionals and thought leaders to share ideas, gain valuable insights and network at a power-packed one day event. · Cedric Sennepin, CEO of Leroy Merlin SA. · GG Alcock, Founder of Minanawe Marketing and author of KasiNomics, Third World Child, Kasinomic Revolution. · Dr Ankit Katrodia, a Post-Doctoral Research Fellowship at the University of KZN’s Graduate School of Business and Leadership. While Naeem Tilly and David Smith will talk about SA’s economic and consumer outlook as well as the state of the retail market, Mike Vincent’s presentation looks at whether South African retailers are ready for the ‘connected retail revolution’. Leroy Merlin’s Cedric Sennepin will talk about the French DIY retailer’s entry into the South African market and how to re-invent the future of retail. Yuppiechef’s Co-founder and CEO will speak about establishing one of SA’s first online stores and how Yuppiechef is now opening physical stores. In a presentation dubbed “The Age of the Afripolitan”, GG Alcock will talk about marketing as well as understanding and communicating to modern African consumers. Dr Katrodia will present a ‘Case Study at Durban Shopping Malls’, which investigated the determinants of shopping and buying behaviour. Meanwhile, Viljoen will present a futurist’s overview of how emerging technologies and South African realities could shape shopping centres over the next 10 years. In the conference’s closing session, Jorgensen will speak about influencer marketing in the retail sector, while Pastore will look at the next generation of shoppers and how consumers are evolving. “We have got an exciting and diverse line-up of speakers at the SACSC Research Conference this year. It is a not-to-be-missed industry event and we look forward to hosting another great conference,” says Stops. Well-known broadcasters Gugulethu Mfuphi and Bronwyn Nielsen are the conference facilitators this year and robust discussions are anticipated. Nomzamo Radebe, CEO of JHI – a Division of Excellerate, says the group is proud to sponsor the SACSC Research Conference. “We are delighted to once again be partnering with the SACSC to further knowledge sharing and innovation within the South African retail industry. Faced with an incredibly fast-changing, disruptive and complex economic environment, we believe that deep-seated research, knowledge sharing and out-of-the-box thinking is essential to long term success and sustainability for all stakeholders. This year, we place emphasis on understanding the ‘Customer of the Future’, as well as how retailers can leverage technology to provide tailored customer experiences,” she adds.